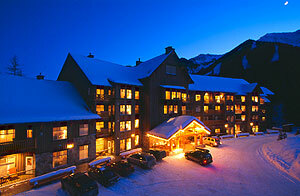 Snow Creek Lodge ski-in, ski-down location is right at the base Fernie Alpine Ski Resort. These spacious apartments offer 1- and 2-bedroom suites featuring early Canadian architecture with stone, logs and wood. Your slopeside location can't get much closer than this! 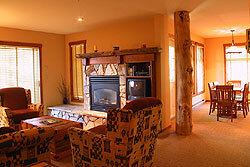 Contact us for more information or to make the Snow Creek Lodge part of your Fernie ski holiday.